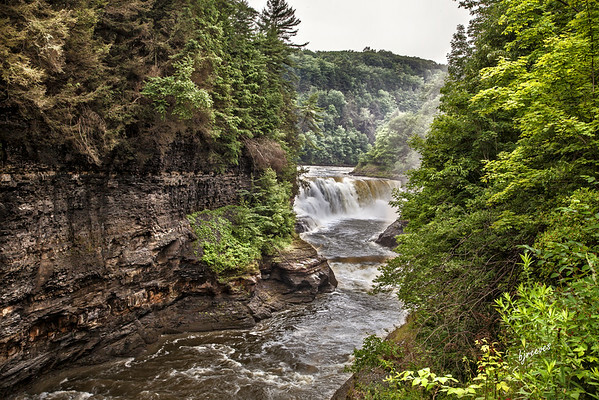 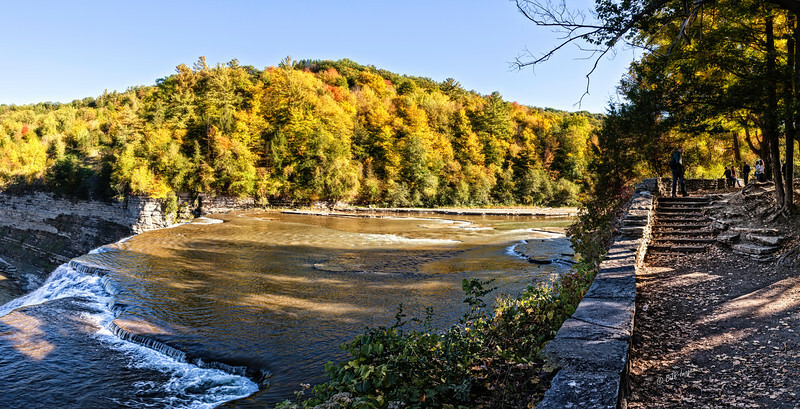 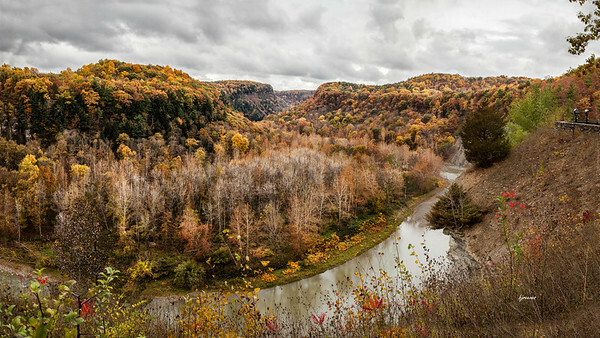 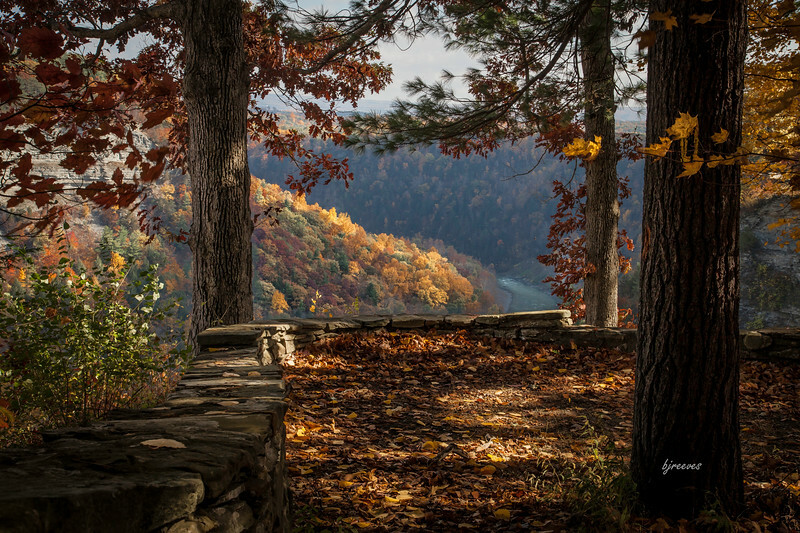 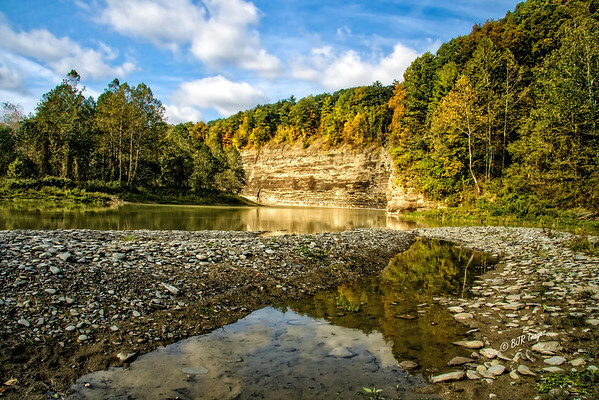 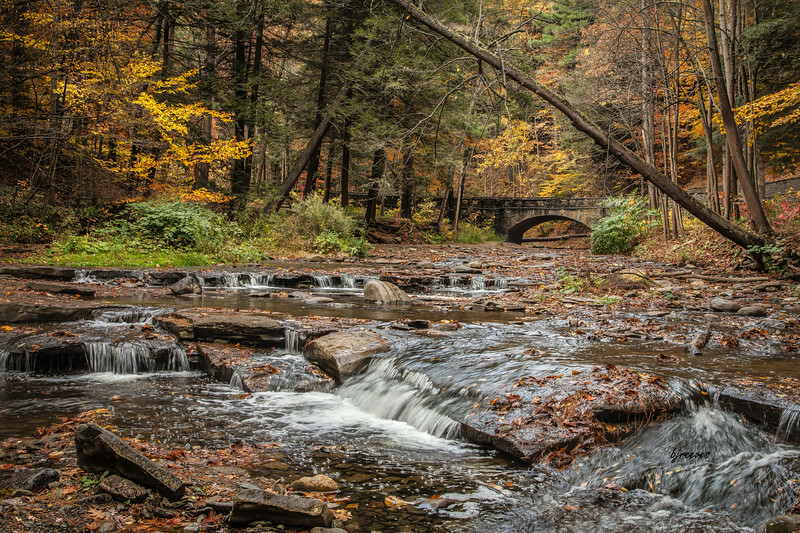 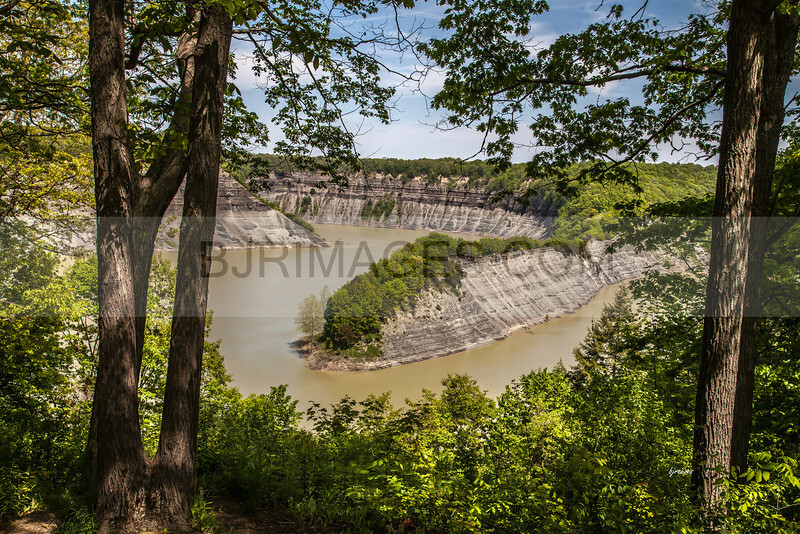 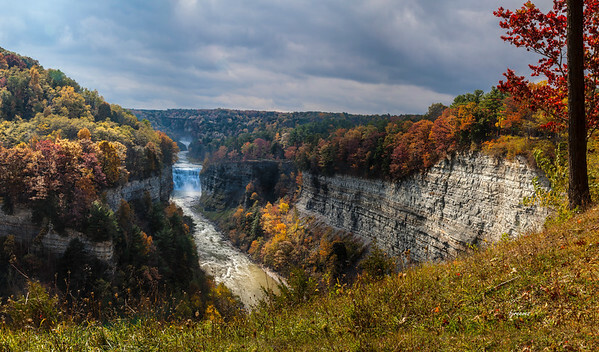 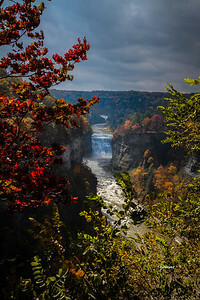 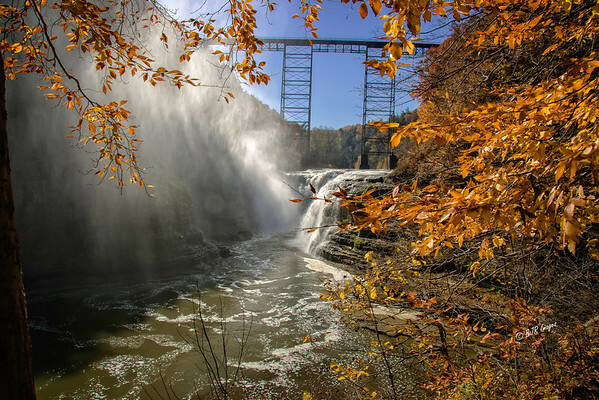 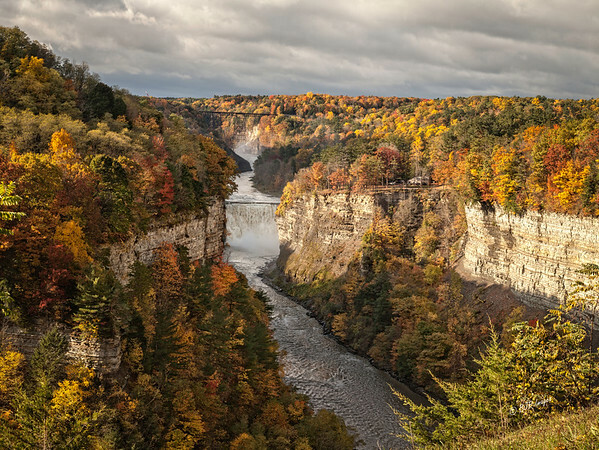 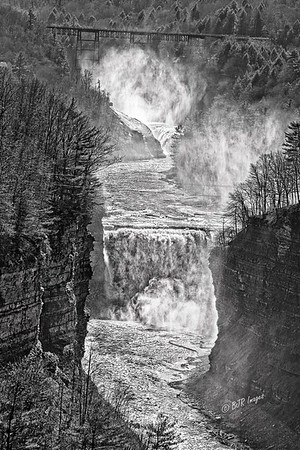 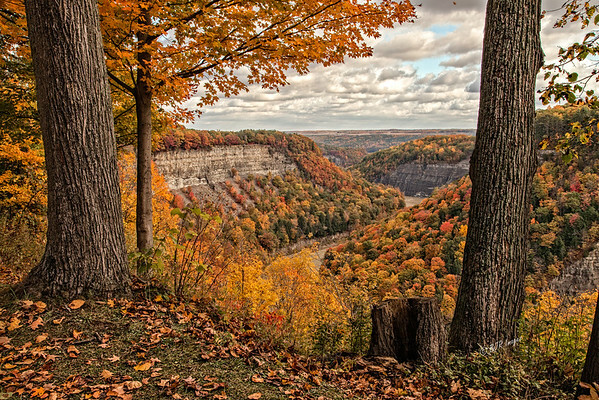 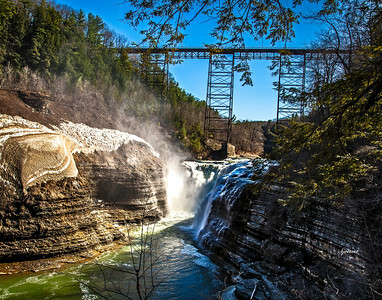 Letchworth Middle and Upper Falls in the fall with the train trestle. 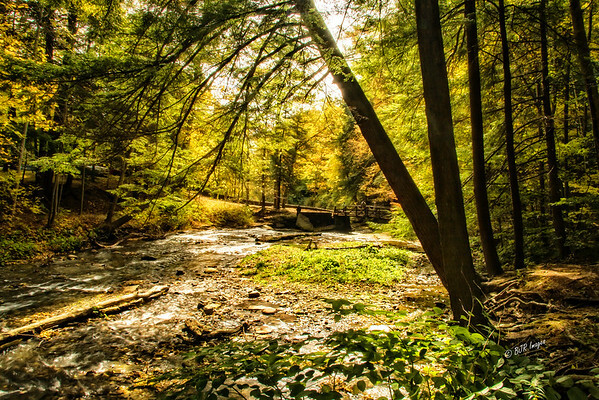 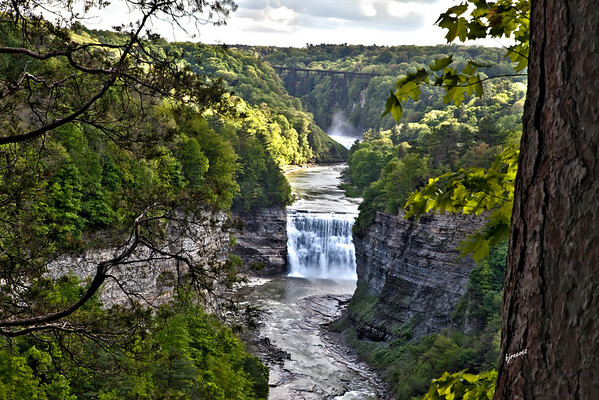 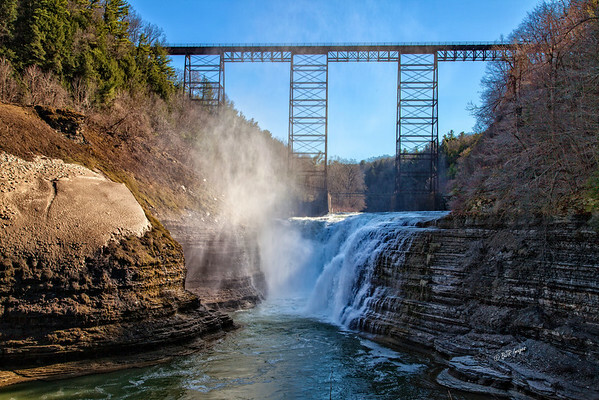 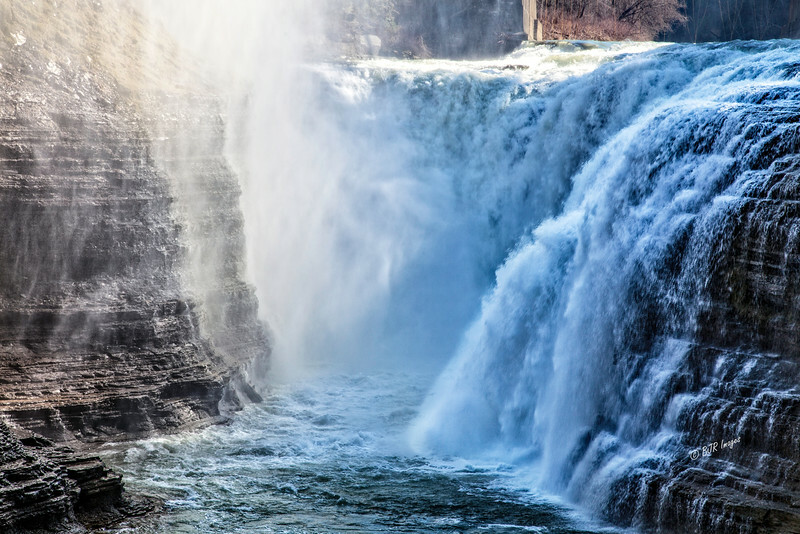 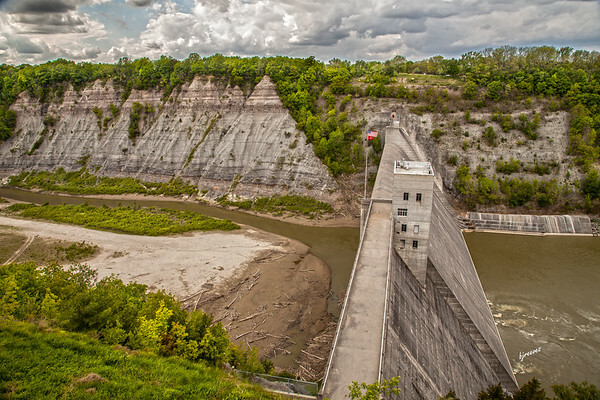 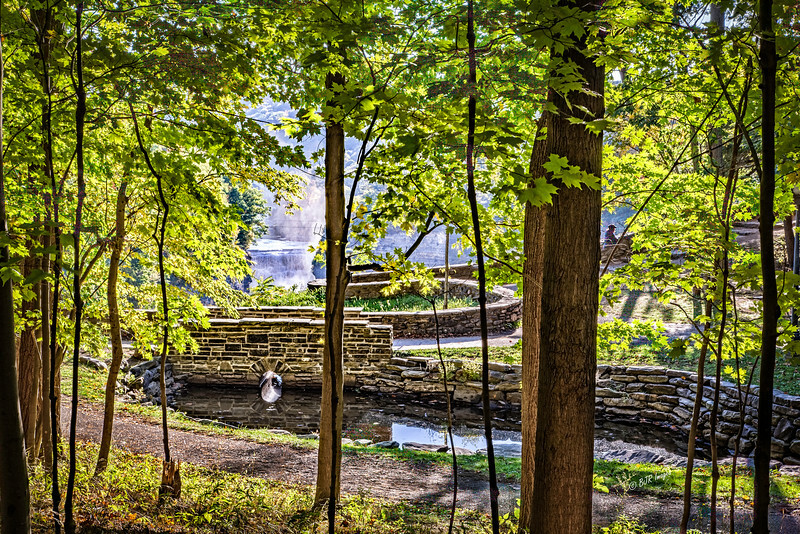 Upper Falls and the old Train Trestle in Letchworth. 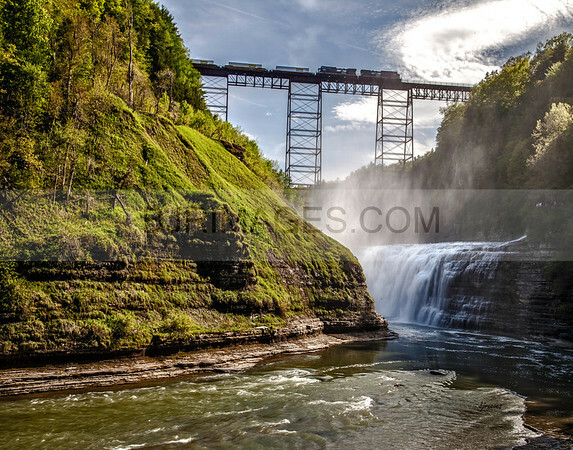 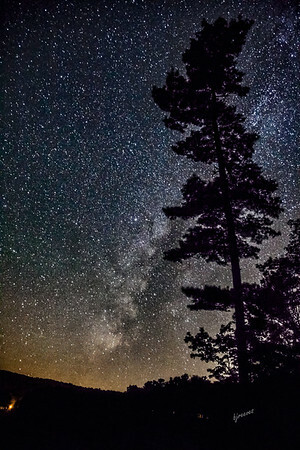 Train Trestle over Upper Falls in Letchworth State Park.